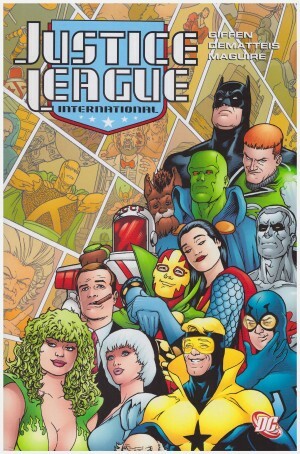 There are two distinct stories collected here, and before the title tale there’s the return of the Injustice Society. They previously invaded the JSA headquarters in Darkness Falls when an injured Wildcat was able to see off the entire team single handedly. 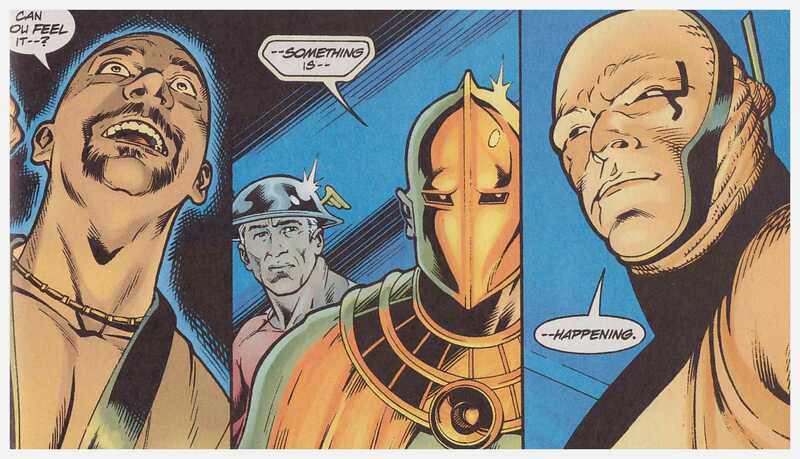 This time they’ve brought someone along to deal with him, and they’re allied with artificial intelligence the Thinker, able to shut down all the JSA’s computer controlled systems. The real villain of the piece is Johnny Sorrow. He’s well designed by artist Stephen Sadowski, lacking a head with only a mask in place, and David Goyer and Geoff Johns have developed a Lovecraftian type of horror vessel. 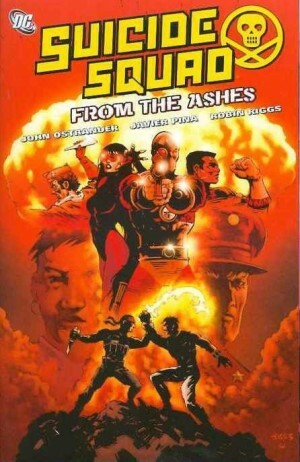 The sequence, though, is over-long, with some villains defeated all too easily, leaving much of it turned over to a faux 1940s story illustrated by Steve Yeowell and Sorrow’s attempts to open the other dimensional gateway that will unleash the King of Tears on Earth. It’s a rare occasion that squidgy tentacled gothic horror tropes mix well with superheroes, and this isn’t one of them. The finest moments involve Black Adam, re-introduced, revised for purpose in the 21st century, and given a viable reason for his previous excesses. He’d prove to be the most compelling and complex character during the JSA series, and he’s off to a good start here with some fantastic moments scattered through the book. Surprisingly, it’s the ‘Return of Hawkman’ arc that’s the real treat. 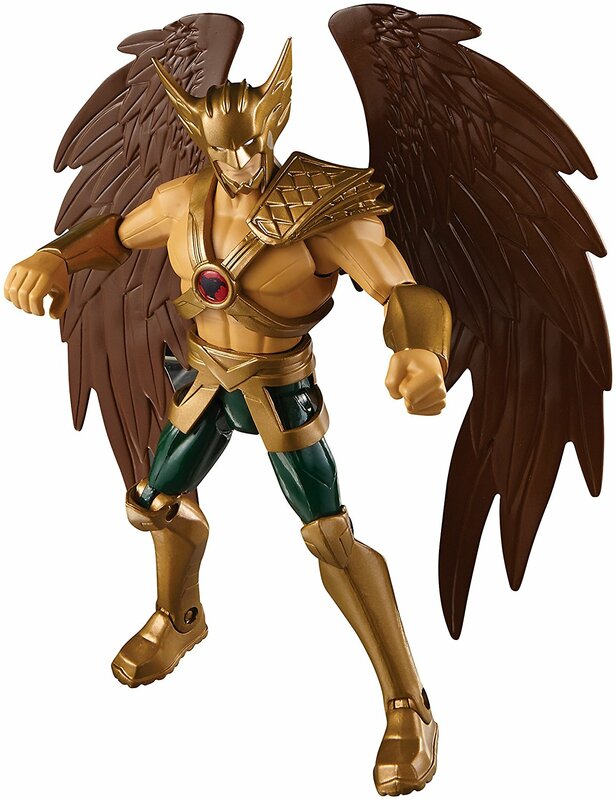 Since the 1940s there have been numerous attempts to resurrect Hawkman, and more often than not they’ve been critical if not commercial failures. 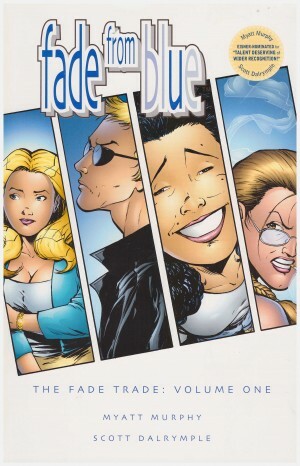 A lengthy period in limbo preceded this re-boot, and Goyer and Johns make sense of all previous versions by spinning a tale of eternal reincarnation in the company of his wife. This would be Hawkgirl, already a JSA member, for whom there are several uncomfortable revelations in a well played scene involving the angel Zauriel. The bulk of the action occurs on Thanagar, alien home to a culture of hawkmen, and invaded by a memorable and imperious new villain in Synn. Shame about the name, but in an engaging sequence he spells out why it suits. 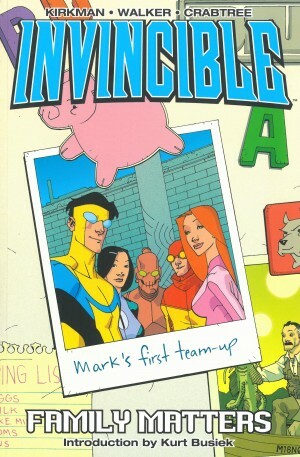 There’s a few impossible escapes, a touching sequence with the Flash, and several punch the air moments. 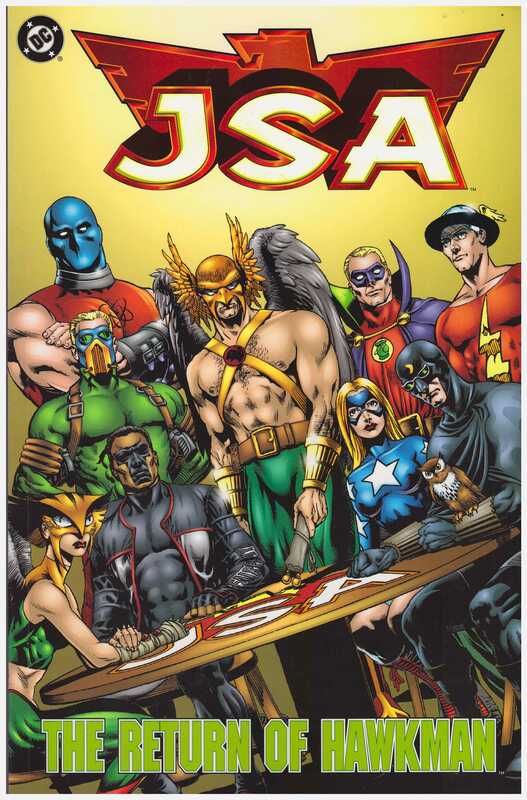 At this stage it’s the peak in an okay series, but it pointed to what JSA would become. The next volume is Fair Play.